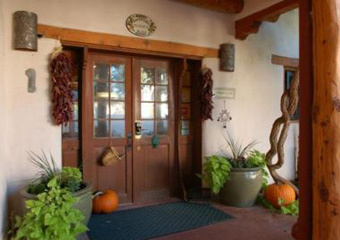 Featured: Pet Friendly Hotel in Taos, NM! 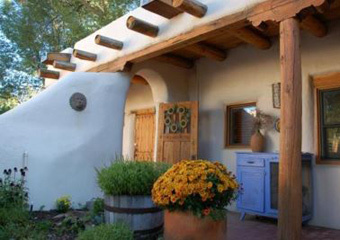 La Posada de Taos -historic Adobe Inn in Taos! wish your pet friendly hotel was featured here? Click to list! Click to take this top spot listing! The home's location in the Historic District west of the Plaza has afforded it a measure of peace and quietude that few historic homes ever experience. Centuries-old acequias (irrigation channels built by the original Spanish settlers) still run through the neighborhood fed by waters from the Rio Pueblo. A supply of adobe bricks original to the home is kept on site for repairs. Coyote fences and low adobe walls surround the property much as they did over a century ago. Breathtaking views of Taos Mountain are still maintained for guests who enjoy breakfast on a brick patio each morning. 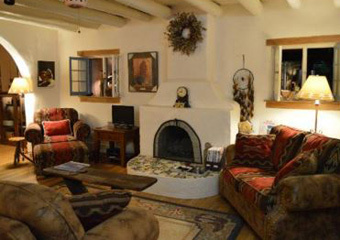 La Posada de Taos is a historic Inn with six guest rooms about two blocks west of Taos Plaza. Taos is a small town surrounded on three sides by 11,000 and 12,000 foot peaks. Two blocks further west of the Inn is a bluff overlooking park and pastureland. Located in the historic district, the neighborhood is best characterized by its winding lanes and adobe structures. It’s a unique setting to say the least. 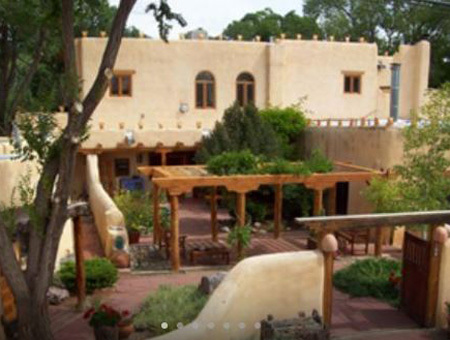 Trip Advisor Review: "We felt so lucky to have chosen La Posada de Taos for two nights. Our room, El Solecito was beautifully decorated with southwest flair, a king size bed and wonderful bedding! 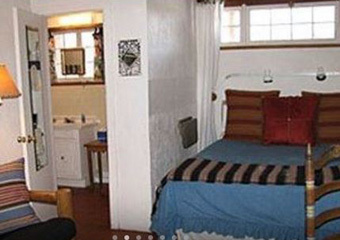 We enjoyed the jetted tub, sitting outside on the wrap-around patio and the convivial living room right off our room. We were never bothered with inside or outside noise. The two breakfasts we had were ridiculously delicious, the best of our two week trip! "